Home Tags Posts tagged with "Oscar selfie"
Broacha says many events can fit in here, including his own successes. His pick for jaw-dropping moments. General Elections: We had a civilised election. It was a BJP storm which no one expected! It is baffling to see people voted for change. But some things wona��t. Like two Nirav Shahs in Malabar Hill with the same election card! Indian Mathematics and Statistics: We had statistics of all kinds: how many meat eaters voted, whom vegans voted for and why. The international news channels need to learn about that! 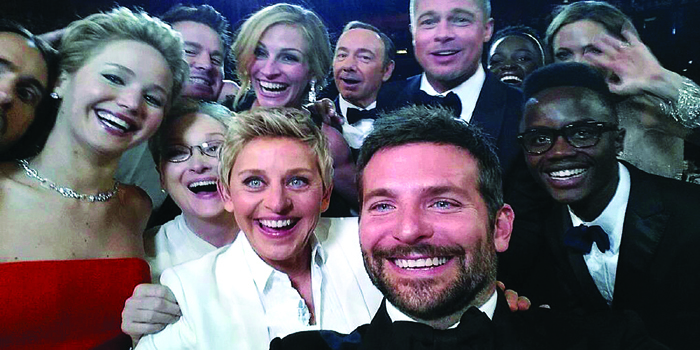 The Oscar Selfie: What Kim Kardashian tried to do, the Oscar selfie did in March a�� break the Internet. My son shaving: All of 11 years,A�my son shaved. He has not a single hair on his face. a�?Unfortunately, there is plentyA�in this category,a�? says the comedian, and even his positive bent of mind cannot A�put a hopeful spin on it. Phil Hughes: A premature death that shattered the world while other tragedies also happened, cricket fans like myself were really traumatised by how a good ball can kill someone. It is terrifying. Peshawar school attack: There is nothing more to say.